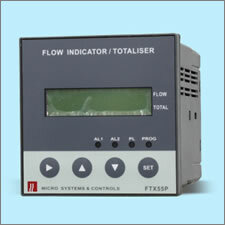 Flow Indicator Totaliser FTX55P is compact and easy to use, designed for monitoring the continuous flow rate and total flow. 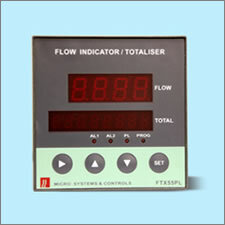 Flow Indicator / Totaliser FTX55PL is compact and easy to use, designed for monitoring the continuous flow rate and total flow. Model FTX55GC 3 Input Flow Indicator/Totaliser is compact and easy to use, designed for monitoring the continuous flow rate and total flow.